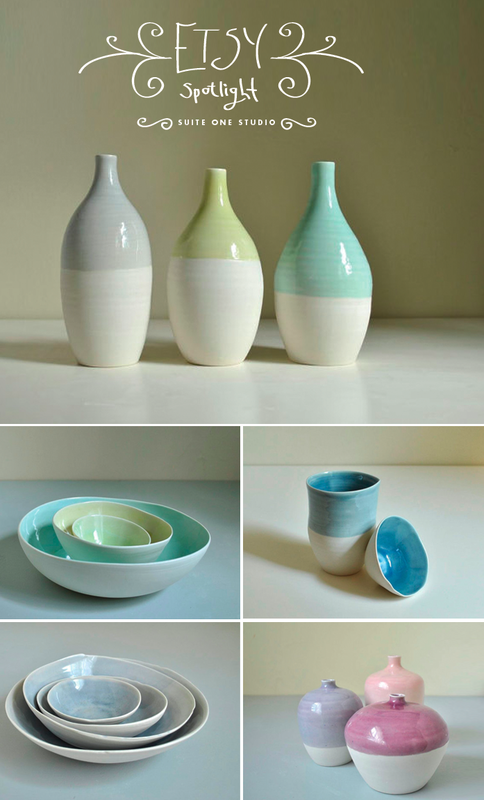 Just like every Etsy spotlight I am excited to share the porcelain work of Suite One Studio. Not only are the shapes raw and beautiful but the colors make my heart full. The greatest thing about the work Lindsey does is how she hand creates each piece and creates her own glazes. That is why any of these pieces makes for something individual for your home or as a gift especially for a wedding. Make sure to check Suite One Studio‘s shop on Etsy and follow her on twitter and facebook. Also there is a blog that you won’t want to miss checking out.